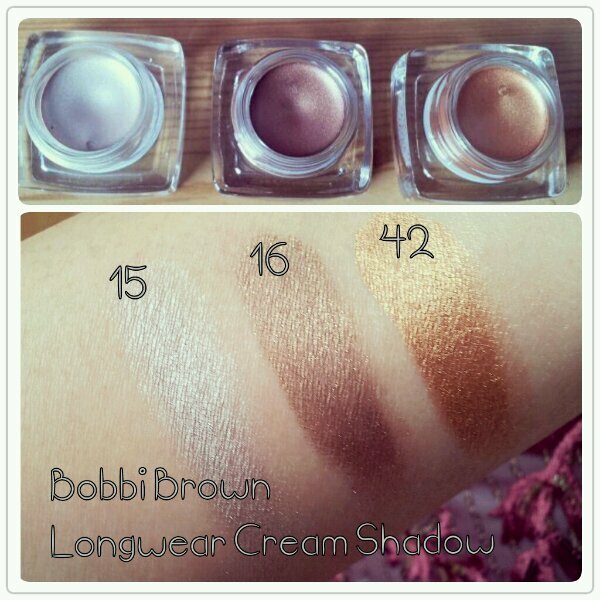 This is just a quick post to show you swatches of a few of my recently purchased Bobbi Brown cream shadows. 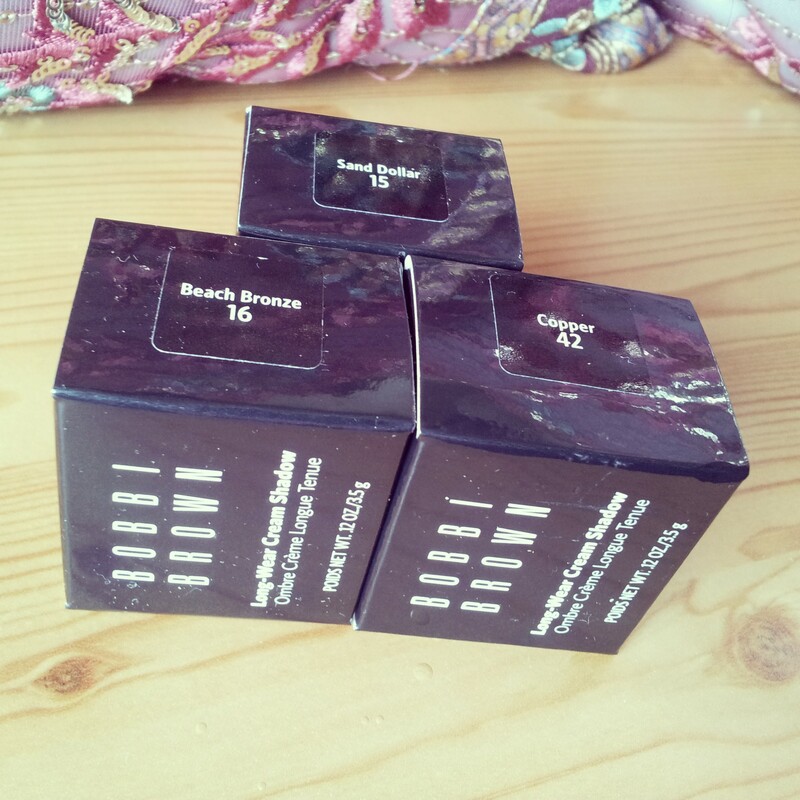 These cream shadows from Bobbi Brown have been around for years now but I still love them, as I haven’t yet found another brand that can match them for the bronze and coppery shades, which I use all the time for Asian bridal or party clients. While the Maybelline Colour Tattoo range is amazing (and budget-friendly) for vibrant shades, their range is very limited. I’ve wittered on about them here, here and here. I’ve been using the Bobbi Brown Metallic Longwear Cream Shadows myself for a few years now and recently picked up a few more shades which I’ve swatched for you here. My latest shades are 15 Sand Dollar (a silvery highlight shade), 16 Beach Bronze (a deep bronze shade) and 42 Copper (a vibrant orangey copper shade). The formula is of the usual high quality you’d expect from Bobbi Brown and glides on smoothly. These blend nicely together or with other brands for a stunning finish. They dry fairly quickly and so are best applied quickly for a crease-free flawless finish. One aspect I like is the pigment quality in these shadows. The colour in the pot accurately shows how it will look on the eyes. I like brands with ‘what you see is what you get’ shades. It makes make-up shopping so much easier but often results in a little (or a lot of) impulse-buying from Bobbi Brown, as I don’t need to swatch the cream shadows before buying… not always a good thing! £18 for 3.5g. Available in 18 shades online and at Bobbi Brown counters nationwide. Would you ever consider doing youtube tutorials? Leave a reply on "Swatch-it: Bobbi Brown Longwear Cream Shadows"